Many illnesses are caused by too little niacin, and many illnesses can be cured with high doses of niacin. 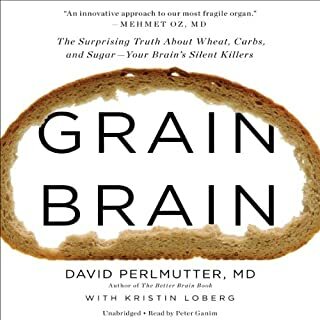 The authors of Niacin: The Real Story are advocates of orthomolecular (nutrition-based) medicine, supporting an approach to wellness that involves substances that naturally occur in the human body. 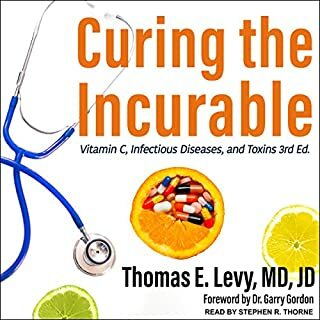 This book makes the case for the widespread use of niacin for the prevention and treatment of health problems. 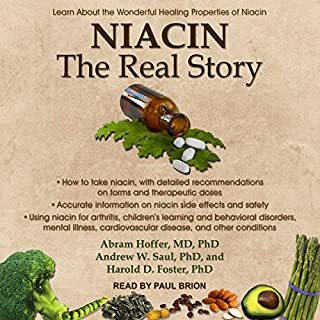 In Niacin: The Real Story, listeners will discover how to take niacin, with detailed recommendations on forms and therapeutic doses. Hats off to you! You've just plunged into a wealth of information that hardly any professional doctors have a clue about. Get ready to relish in the brilliance of the kitchen miracle that surgeons shun and doctors disgrace. A sea of unknown, unrevealed information awaits you. 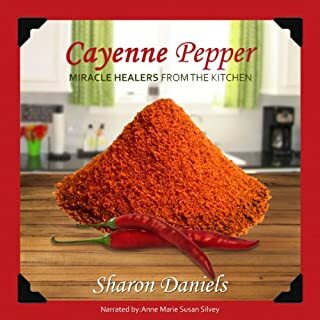 This audiobook will act as your guide, so that you will soon be able to harness the full power of cayenne - the herb I once took for granted, and the herb that I now owe my health. Everyone out there seems to be promoting good health. 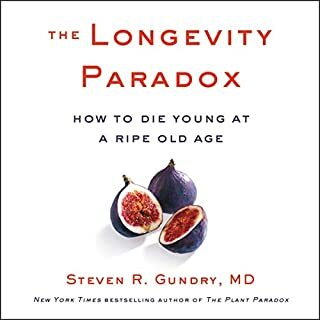 What if there was a natural health-promoting substance that was inexpensive, available at any grocery store in the country, and probably sitting in your cupboard right now? There is. It is called sodium bicarbonate, although you may know it as baking soda. For years, sodium bicarbonate has been used on a daily basis as part of a number of hospital treatments, but most people remain unaware of its full therapeutic potential. In his new book, Dr. Mark Sircus shows how this common compound may be used in the alleviation, or possibly even prevention, of many forms of illness. 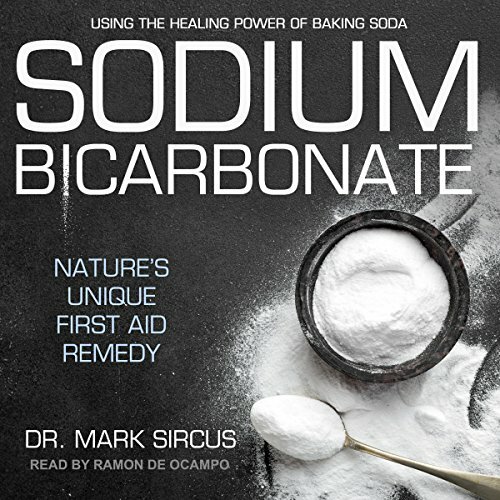 Sodium Bicarbonate begins with a basic overview of the everyday item known as baking soda, chronicling its long history of use as an effective home remedy. It then explains the role sodium bicarbonate plays in achieving optimal pH balance, which is revealed as an important factor in maintaining good health. 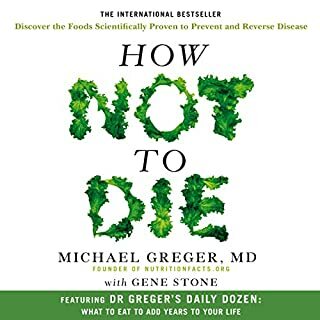 The book goes on to detail how sodium bicarbonate and its effect on pH may benefit sufferers of a number of conditions, including kidney disease, fungal infection, influenza, hypertension, and even cancer. Finally, it lists the various ways in which sodium bicarbonate may be taken, suggesting the easiest and most effective method for your situation. By providing a modern approach to this time-honored remedy, Sodium Bicarbonate illustrates the need to see baking soda in a whole new light. While it was once considered simply an ingredient in baked goods and toothpaste, sodium bicarbonate contains powerful properties that may help you balance your system, regain your well-being, and avoid future health problems. Fascinating but a real chemistry lesson! This book is fascinating because if someone feels so strongly about a substance that they want to write a book about it it's got to be something interesting! It was a struggle to understand sometimes because there is so much chemistry in it but I think I could cure anything with this stuff now!!! Nothing to lose so worth a listen if you can cope with a flashback to your chemistry lessons at school!